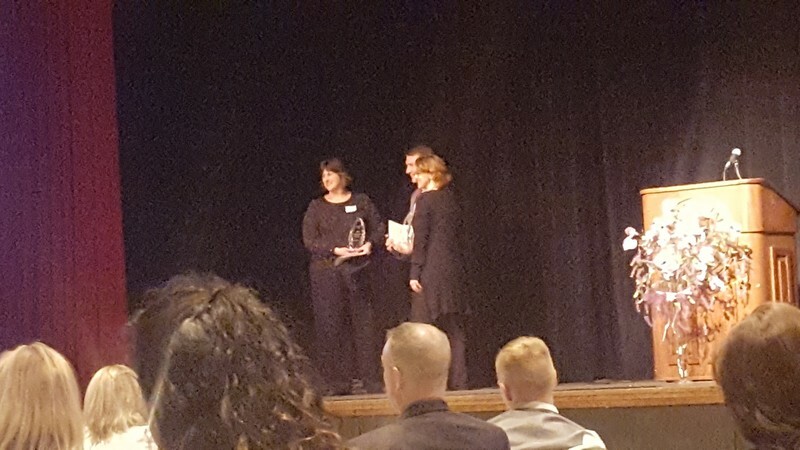 The Second Annual McLean County STEM gala was held at Illinois State University in the Brown Ballroom on April 4, 2018. 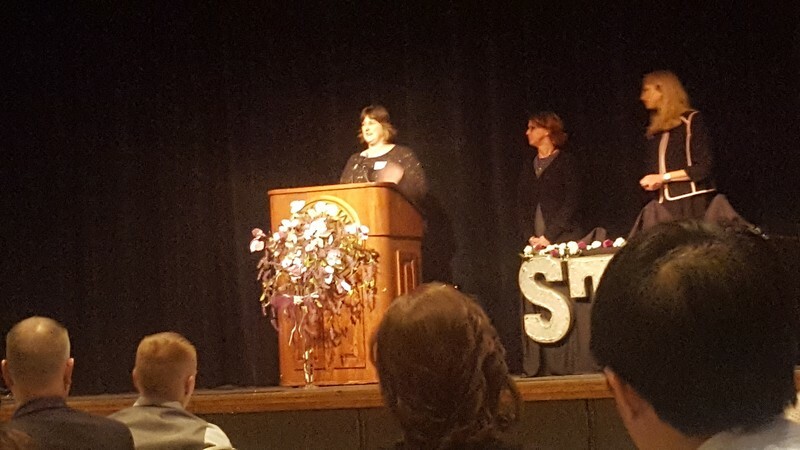 The evening consisted of a STEM showcase followed by dinner, a keynote address and recognition of participants and nominees. The Gala is an opportunity for McLean county to connect, develop and inspire local students, educators and professionals in STEM excellence. The awards presentation included four scholarships to area students, two grants for outstanding educators and one award to a professional in the community. 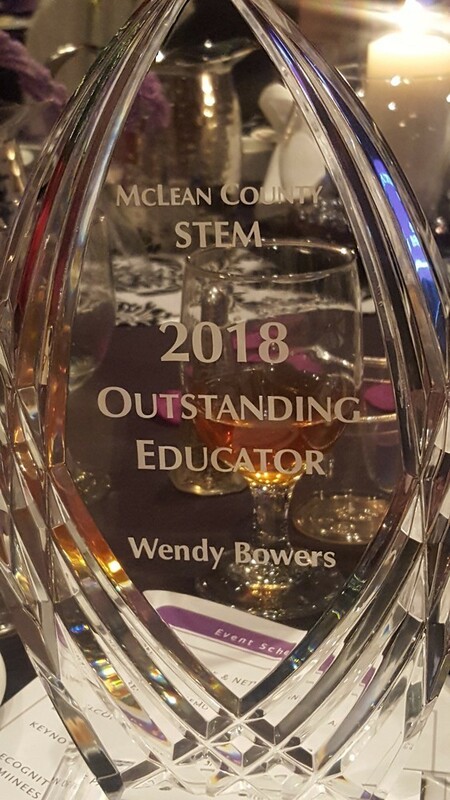 This year Mrs. Wendy Bowers from Olympia High School was awarded the Outstanding STEM Educator Award and a $1000 grant. Mrs. Bowers plans to purchase TI-Innovator™ Rovers for her classroom. The goal of purchasing TI-Innovator™ Rovers is to engage students in hands-on STEM based activities in the classroom. The Rovers empower students to explore STEM topics and concepts while promoting collaborative problem solving. Most importantly, the TI-Innovator™ Rover will inspire students interest in STEM! She is planning on using the Rovers in her classroom as well as with her STEM club students. Mrs. Bowers is a Co-sponsor of OHS STEM club, the annual WYSE competition and STEM Celebration days. Congratulations Mrs. Bowers!